The Derbyshire based interactive station with a BIG Heart broadcasting on 107.2FM. Serving the community of Amber Valley in Derbyshire playing great hit music that others have forgotten. Daytime radio has a 20,000 strong playlist from the seventies to today - aimed squarely at those who like new music and love oldies. Every night the station has specialist music programmes - 90's on Mondays,Tamla Motown, Northern Soul, modern soul and classic soul on Tuesdays, Rock and Blues on Wednesdays, Sensational Seventies on Thursdays, Awesome Eighties on Fridays the 'A' list on Saturdays and Club Classics and Eclectic Jazz and Funk on Sundays. 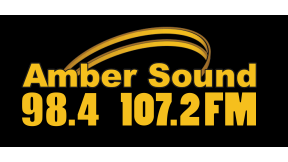 Join us on our chatbox at www.ambersoundfm.com Facebook at www.facebook.com/ambersoundfm and twitter @ambersoundfm - come and join in the fun. The ultimate music variety spiced with good local humour and personality.